From winter to summer, Georgia residents always need a trusted Atlanta HVAC company. Whether we are experiencing another brutal heat wave or the frigid temperatures we grew so accustomed to in 2013, we need a company that is going to perform dependable services. If you have a problem with your heating or air conditioning equipment, give the local professionals at Cool Masters Heating and Air Conditioning a call today! With years of experience working in the area, our business is known as an Atlanta HVAC company that goes the extra mile. Heating and air conditioning problems can create major hassles in our lives, which is why we work quickly to repair your equipment. Each technician has been thoroughly trained to handle all types of problems no matter how big or small they may be. When you schedule an appointment with us, you can be confident that you will receive the quality service your family deserves. Many homeowners do not realize how important it is to receive regular tune-ups on furnaces, heat pumps and air conditioners. HVAC maintenance saves money by ensuring equipment runs at optimal performance preventing it from wasting costly energy. This service also catches minor problems before they require major repairs or replacement. Some customers do not want to pay for additional services when their equipment seems to be running fine. While your home may comfortable now, furnaces and air conditioners that do not receive regular tune-ups waste energy and require more expensive repairs in the long run. If your furnace, heat pump or air conditioner needs to be replaced, we can help you choose the right unit for your home or office. Whereas some companies trick customers into buying powerful products they do not need, we offer our honest opinion regarding the right system for you. 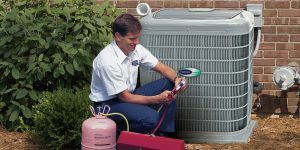 Cool Masters Heating and Air Conditioning is your trusted home for HVAC Atlanta. Stay comfortable all year long no matter what the temperature is outside! Have any questions or concerns? Give us a call! Your local experts in the Metro Atlanta area.